Horizon articles can be republished for free under the EU’s copyright notice, provided the source is acknowledged. We ask you to do this by linking back to our original story. <h2>Counting the carbon cost of forest destruction</h2><br /><p>Forests cover about 30&nbsp;% of the world, according to <a href="https://data.worldbank.org/indicator/AG.LND.FRST.ZS" target="_blank" rel="noopener noreferrer">World Bank estimates</a>, and they act as important keystones for life. Home to millions of species, they capture and store carbon dioxide and provide us with clean water and timber. Forests are also known to play an important role in regulating the&nbsp;climate.</p> <p>According to <a href="http://www.fao.org/forest-resources-assessment/en/" target="_blank" rel="noopener noreferrer">UN’s Food and Agriculture Organization (FAO)</a>, the world’s forests shrank by 3&nbsp;% between 1990 and 2015, with most losses at the tropical latitudes. Although the rate of forest removal has halved over these past 30 years, it is still alarmingly high.</p> <p>Professor Guido van der Werf from Vrije Universiteit Amsterdam in the Netherlands said: ‘Besides habitat fragmentation and loss of biodiversity, deforestation emits CO2 that is roughly equivalent to 10&nbsp;% of the global fossil fuel emissions.’</p> <p>That is because one of the main methods of deforestation is to burn down trees. Prof. van der Werf and his colleagues have looked at how CO2 emissions from deforestation have varied since 1950, using tropical forest fires as a proxy. Funded by the EU's European Research Council, their DE-CO2 project aimed to provide more accurate estimates of the carbon dioxide emissions from deforestation over the past decades.</p> <p>Understanding how much deforestation contributes to global CO2 emissions can help refine climate change models.</p> <p>‘I was interested in (obtaining) better numbers on deforestation CO2 emissions because it allowed me — in an indirect way — to estimate how well the processes that are sequestering about half of our emissions are keeping up with rising CO2 emissions,’ said Prof. van der Werf.</p> <p><strong>Carbon sinks</strong><strong>&nbsp;</strong></p> <p>These processes are known as carbon sinks, which act like sponges, absorbing carbon from the atmosphere. Forests and oceans act as carbon sinks that reduce the effects of global warming. But as CO2 emissions rise, these carbon sinks are becoming saturated.</p> <p>‘Despite climate change, we found the natural carbon sinks are becoming ever more efficient with time,’ said Prof. van der Werf. ‘These changes are very small so they will never be able to absorb all CO2 unfortunately, but these results may help in improving climate-carbon models.’</p> <p> <div class="quote-view quotesBlock quote_horizontal"> <div class="quotesTop"><img src="https://horizon-magazine.eu/sites/all/themes/horizon/images/quotes_top.png" alt="" title="" /></div> <p>‘Deforestation emits CO2 that is roughly equivalent to 10 % of the global fossil fuel emissions.’</p> <blockquote><p>Prof. Guido van der Werf, Vrije Universiteit Amsterdam, The Netherlands</p></blockquote> <div class="quotesBottom"><img src="https://horizon-magazine.eu/sites/all/themes/horizon/images/quotes_bottom.png" alt="" title="" /></div> </div> </p> <p>But besides clear-cut deforestation, forest degradation — a reduction in the quality of forests through activities such as logging and fires — can also increase carbon emissions. However, there is limited information on forest degradation and many degraded areas are counted as healthy forests.</p> <p><strong>Degraded forests</strong></p> <p>Since September, Dr César Pérez Cruzado from the University of Santiago de Compostela in Spain has been working on an EU-funded project known as QUAFORD, which aims to come up with a new way of quantifying carbon emissions due to forest degradation.</p> <p>‘We’re trying to find out to what extent forest degradation occurs worldwide and evaluate its impact on global carbon emissions,’ he said.</p> <p>This is important because through a UN programme called REDD+, developing countries can access funding to reduce carbon emissions by conserving the health of their forests. A better way of estimating how degraded a forest is can help reveal the extent of the problem and monitor the level of improvement.</p> <p>‘International initiatives under the UN&nbsp;REDD+ programme have almost exclusively focused on deforestation because of the difficulties and uncertainty of quantifying carbon emissions from forest degradation,’ said Dr Pérez Cruzado.</p> <p>‘To provide credibility to the system, REDD+ will require methodologies that transparently deliver evidence on the reduction of carbon emissions due to forest degradation and that’s where our research can provide a solution for this complex issue.’</p> <p>It is important to reduce emissions from both deforestation and forest degradation in order to combat climate change and achieve the objective of limiting global warming to 2 degrees Celsius above pre-industrial levels, agreed at the 2015 COP21 climate change conference in Paris, France.</p> <p>More than 45 tropical countries are participating in the REDD+ programme and many countries target the forest and land-use sector in their activities under the Paris Agreement on climate change.</p> <p><a href="http://bit.ly/newsalertsignup" target="_blank" rel="noopener noreferrer"><img src="https://horizon-magazine.eu/sites/default/files/news-alert-final.jpg" alt="" width="983" height="222" /></a></p> <p>‘The methodology we are developing only needs one survey to judge the occurrence and extent of forest degradation,’ said Dr Pérez Cruzado. ‘Therefore, fewer efforts are needed in the monitoring process and restoration priorities can be defined for areas where only one survey is available or resources are limited.’</p> <p>The results at the end of the project will be used by the project’s partner, UN’s FAO Forestry Department, which assists countries in developing national forest monitoring systems and reports on the state of forests worldwide every five years through the Forest Resources Assessments.</p> <p><em>If you liked this article, please consider sharing it on social media.</em></p> <br /> <img src=”http://www.google-analytics.com/collect?v=1&tid=UA-40077089-1&cid=counting-the-carbon-cost-of-forest-destruction&t=event&ec=republish&ea=read&el=counting-the-carbon-cost-of-forest-destruction&cs=republish&cm=republish&cn=republish&cm1=1" /> This post <a href="https://horizon-magazine.eu/article/counting-carbon-cost-forest-destruction.html">Counting the carbon cost of forest destruction</a> was originally published on <a href="https://horizon-magazine.eu/">Horizon: the EU Research &amp; Innovation magazine | European Commission</a>. The world is losing its trees, but at what cost? Better estimates of deforestation and degradation could shed light on the amount of CO2 emitted, refine climate models and help developing countries better manage their forests. Forests cover about 30 % of the world, according to World Bank estimates, and they act as important keystones for life. Home to millions of species, they capture and store carbon dioxide and provide us with clean water and timber. Forests are also known to play an important role in regulating the climate. 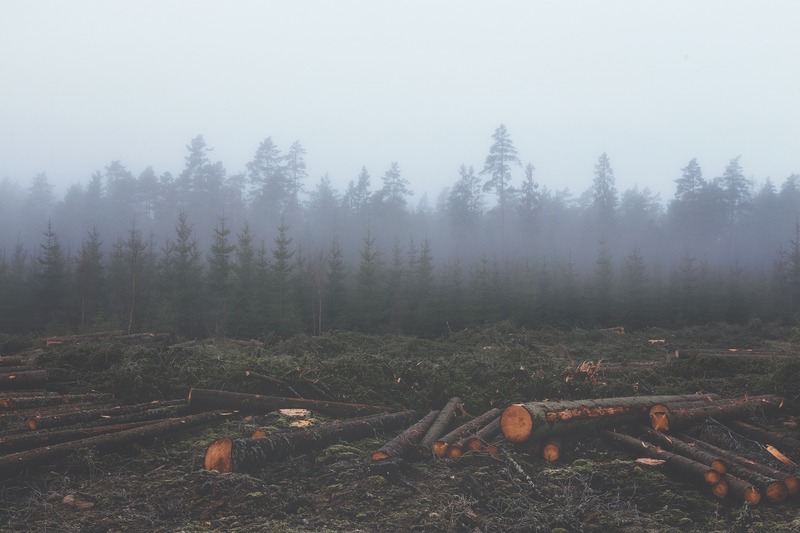 According to UN’s Food and Agriculture Organization (FAO), the world’s forests shrank by 3 % between 1990 and 2015, with most losses at the tropical latitudes. Although the rate of forest removal has halved over these past 30 years, it is still alarmingly high. That is because one of the main methods of deforestation is to burn down trees. Prof. van der Werf and his colleagues have looked at how CO2 emissions from deforestation have varied since 1950, using tropical forest fires as a proxy. Funded by the EU's European Research Council, their DE-CO2 project aimed to provide more accurate estimates of the carbon dioxide emissions from deforestation over the past decades. Understanding how much deforestation contributes to global CO2 emissions can help refine climate change models. ‘I was interested in (obtaining) better numbers on deforestation CO2 emissions because it allowed me — in an indirect way — to estimate how well the processes that are sequestering about half of our emissions are keeping up with rising CO2 emissions,’ said Prof. van der Werf. These processes are known as carbon sinks, which act like sponges, absorbing carbon from the atmosphere. Forests and oceans act as carbon sinks that reduce the effects of global warming. But as CO2 emissions rise, these carbon sinks are becoming saturated. But besides clear-cut deforestation, forest degradation — a reduction in the quality of forests through activities such as logging and fires — can also increase carbon emissions. However, there is limited information on forest degradation and many degraded areas are counted as healthy forests. Since September, Dr César Pérez Cruzado from the University of Santiago de Compostela in Spain has been working on an EU-funded project known as QUAFORD, which aims to come up with a new way of quantifying carbon emissions due to forest degradation. ‘We’re trying to find out to what extent forest degradation occurs worldwide and evaluate its impact on global carbon emissions,’ he said. This is important because through a UN programme called REDD+, developing countries can access funding to reduce carbon emissions by conserving the health of their forests. A better way of estimating how degraded a forest is can help reveal the extent of the problem and monitor the level of improvement. ‘International initiatives under the UN REDD+ programme have almost exclusively focused on deforestation because of the difficulties and uncertainty of quantifying carbon emissions from forest degradation,’ said Dr Pérez Cruzado. It is important to reduce emissions from both deforestation and forest degradation in order to combat climate change and achieve the objective of limiting global warming to 2 degrees Celsius above pre-industrial levels, agreed at the 2015 COP21 climate change conference in Paris, France. More than 45 tropical countries are participating in the REDD+ programme and many countries target the forest and land-use sector in their activities under the Paris Agreement on climate change. The results at the end of the project will be used by the project’s partner, UN’s FAO Forestry Department, which assists countries in developing national forest monitoring systems and reports on the state of forests worldwide every five years through the Forest Resources Assessments. If you liked this article, please consider sharing it on social media. Transforming the dirty water we flush down the drain into new products, such as clean energy and fertilisers, can help prevent reservoirs from running dry and change the way this valuable resource is viewed. Activities such as laying gas pipelines, trawling for fish, drilling for oil, and even burying internet cables in the deep sea, are destroying marine ecosystems. But studies have shown that reintroducing seaweed and corals to these habitats could ward off the worst effects – and recover marine life. In remote, rural corners of Malawi, hospitals are often faced with life-and-death decisions. Women in need of emergency caesarean sections, older people with hernias, and children with appendicitis need surgery. But should they be rushed to the operating theatre or transferred to specialists in city hospitals? Mice that have undergone weight loss surgery experience a change in the composition of their gut bacteria and the functioning of their genes, leading scientists to explore the possibility of mimicking these changes to develop a non-surgical treatment for obesity and liver disease in humans.